A bodybuilding but weightless formula that gives your hair wonderful lift and a durable, flexible hold. It helps restore thin, weak hair by stimulating hair growth to make it fuller and thicker, to do this they’ve added Biotin, Panthenol and natural Green Tea to the formula. Additionally the good vitamins A, B5 and H and the natural styling polymers in the spray give your hair a soft feel but strong hold. Free from parabens, SLS and phthalates. Directions: Hold bottle upright about 10-15 inches away from the hair. Cover eyes while spraying. Caution: For external use only. Keep out of reach of children. Avoid direct contact with eyes. If rash or irritation occurs, stop use and consult a physician. 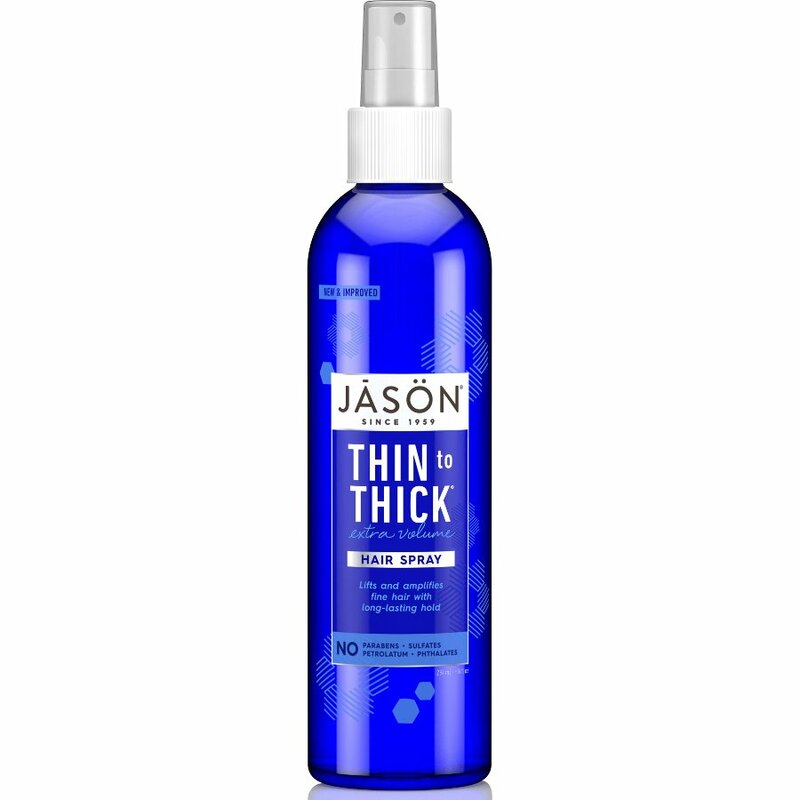 The Jason Thin to Thick Hair Spray - 240ml product ethics are indicated below. To learn more about these product ethics and to see related products, follow the links below. Good, but tends to come out as more of a jet than a spray. I expected it to be stronger, but at least it doesnâ€™t make your hair greasy, best natural alternative I found so far. There are currently no questions to display about Jason Thin to Thick Hair Spray - 240ml.